There are a lot of action-RPG’s, both indie as well as those created by known developers. Some of them might look similar, but today we can present you the preview of a game with some different elements. We will meet Victor Vran, a lone wolf that is on a mission in which he will need to discover several secrets. 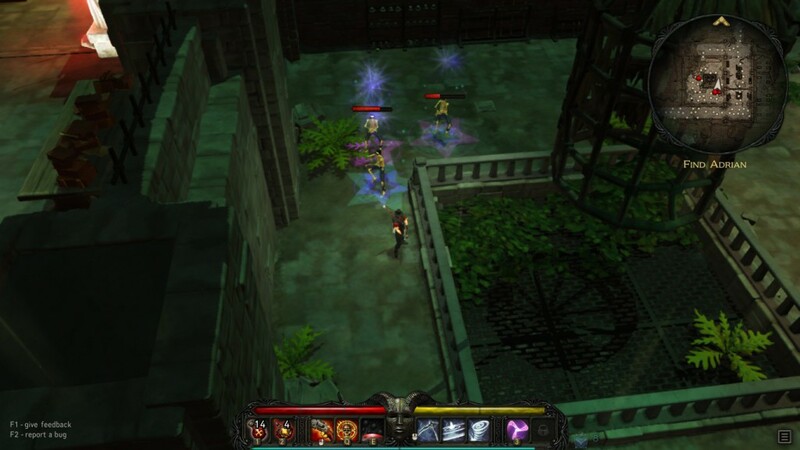 Although the title of the game doesn’t suggest it, ‘Victor Vran’ will take you on a trip to a dark and dreadful era. You receive a note from an old friend called Adrian in which he asks for your help. It seems that he is trapped in the city called ‘Zagoravia’ and he wants our beloved protagonist Victor to come and rescue him. Since this is one of your oldest friends, you hesitate not and jump into the first carriage you see. Arriving on the scene, it is quite clear that the city has been overrun by large, ‘spider demons’ and other dark creatures. Finding at least one untainted, living soul in this hellhole is something you will have to discover the hard way. You are welcomed to the game with some gloomy and rather depressing environments and although the details could have been more refined, the surroundings are quite stunning. The graphics are a mixture of typical realistic images but also have a more comical look and texture. You will notice that the range of colours are mostly alike which isn’t an issue as it helps to set the mood. 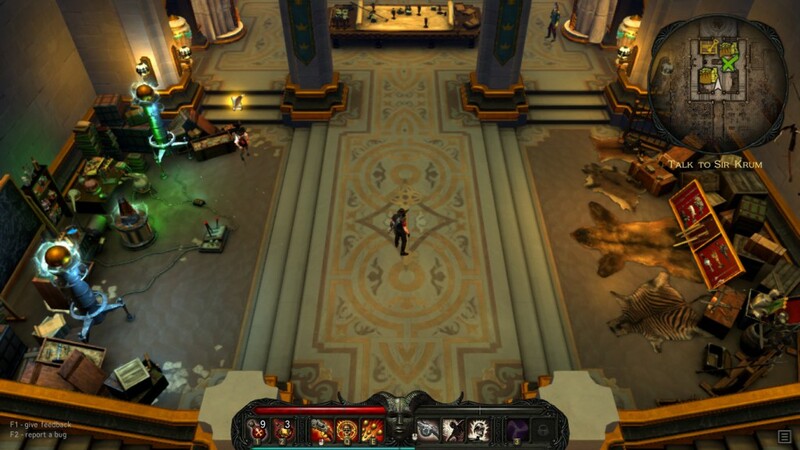 The 3D graphics are altered with some 2D images, mostly in the menu. This is something that isn’t that disturbing as all of the elements really fit together. Next to that, every enemy has its own particular visual features so you can recognise them and anticipate on their attacks. The sound of the game is really amazing and takes ‘Victor Vran’ to the next level, especially in combination with the graphics. You will be sucked into a concerto that will emphasize the dreadfulness the city incorporates. There are also quite some sound effects that are the icing on the cake. Shooting enemies is accompanied with some nice blasting sounds, while jumping or rolling makes Victor grunt a bit. Gameplay wise, you will have a third person view and a 3D overview of the surrounding area. Since you’re a demon hunter, it is only natural that you detest everything vile. This means that, rather than sneaking by, you will slash, shoot or stomp your enemies to get to certain important points on your map. This means there are several weapons you can choose from. There is a whole arsenal of deadly arms like shotguns, rapiers, hammers and swords. Although every type of weapon has its specific tactic to use, it might be a good idea to change your ‘balance’ depending which opponent you’re facing. You will receive weapons and other goodies during your slaughtering or you can buy merchandise in the central part of the city. This area isn’t overrun and is a safe haven. Every weapon has its specifications so it is a good idea to regularly check your inventory, giving you an advantage. Next to changing weapons, you can alter some other equipment as well. For example, you can change your outfit which gives you other stats or you can equip other consumables. You will only have a limited amount of room for your potions though, so choose wisely. Even though you’re a demon hunter, it seems that you have some demonic powers yourself. These powers can be altered thanks to the use of ‘cards’ which can be found throughout the world. Some of them are more effective than others and you have levels of damage as well. Before you can actually use these demonic spells, you will need to fill your overdrive meter. Depending on the outfit you’re wearing, it means that you will need to do certain things. For example, doing damage might be the trigger for your meter. When it is full, you’re ready to unleash the power and eliminate your foes. If this wasn’t good enough, there are some more things the game has to offer. Victor Vran has a levelling system with some sweet loot. Each level will give you certain items and ‘destiny cards’. You can ‘equip’ these and get an instant stat boost. Another feature is the challenges that are available in each area. Completing these trials will give you some nice bonuses and makes the game a bit more fun. There is also an online part, which means that you can join someone else’s game. It isn’t that clear yet how it all works, but we will certainly cover this in the review. 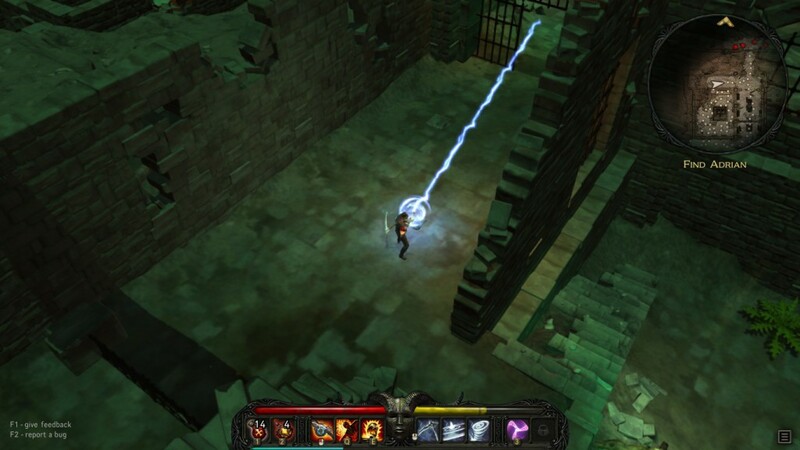 Overall we can say that we were surprised by this early build of Victor Vran. There is a simple, yet solid story, great graphics and an amazing soundtrack. Combine this with some great gameplay elements and some enjoyable action-filled areas and challenges and you have a superb game. We look forward to finished product in the future.